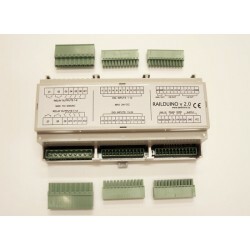 Railduino module is a device working in connection with superior control system (e.g. 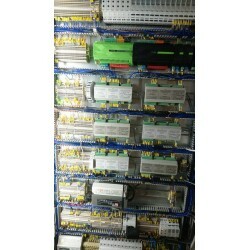 Loxone) as so called distributed inputs / outputs. 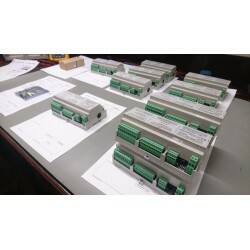 With this connection the control system is able to control external devices (e.g. lights, pumps etc.) using outputs or sense the values at the inputs of the module (e.g. buttons, contacts etc.). 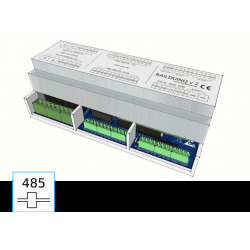 Module is equipped with both digital and analog inputs. There are also relay, digital and analog outputs - see the table below. Module can handle 1-wire devices (Maxim/Dallas) as favourite temperature sensors DS18B20 or DS2438 (Unica 1wire sens. module). 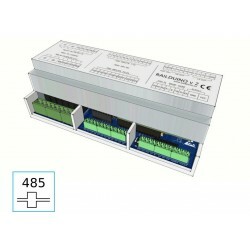 Inputs/outputs can be read/controlled by communication bus RS485 or by LAN within computer network. Both types of connections communicate using UDP protocol (User defined protocol). 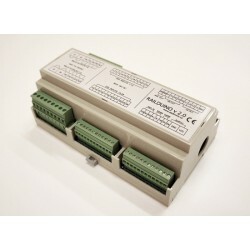 There can be connected up to 15 Railduino modules within the same network/bus. Both connections can be used simultaneously. LAN settings of communication for control of outputs in Loxone Config - address: "/dev/udp/255.255.255.255/44444"
1. "What kind of connection to use with Loxone system?" miliseconds), but is simple, safe and reliable. 2. "How long it will take from pushing the wall switch to actually switching on the lights?" 1. Request processing by Railduino (pusching the button) and sending the satet to Loxone – in case of LAN max. 3. Processing in Railduino module (switching the lights on) ‐ in case of LAN max. 20ms, in case of RS485 max. So the react time will be max. 95ms (in both cases of LAN or RS485). Delay is minimum, longer delay will be created by powering up the current power source of LED lights. 3. 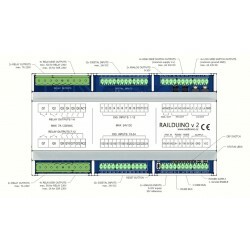 "Is it possible to connect more then one Railduino to the same bus?" operating at the same bus LAN or RS485. 4. "How is the Railduino programmed with in Loxone Config? Does thy system detect inputs and outputs?" LAN connection). More details are in the Loxone example file which can be downloaded in the download section. 5. 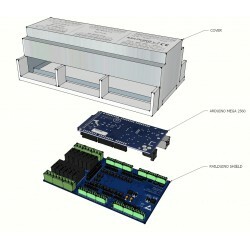 "What is the power consumption of Railduino module?" (with all relays off) and consumption of approx. 230mA (all relays on). Therefore power consumption is approx. 6W max. Minimal consumption can be lower then 2W (no LAN and all relays off). 6. "Digital inputs are not working well, I have to push the switch two times, what is the problem?" There is bad settings in the virtual input command settings ‐ Use as digital input must be UNchecked!